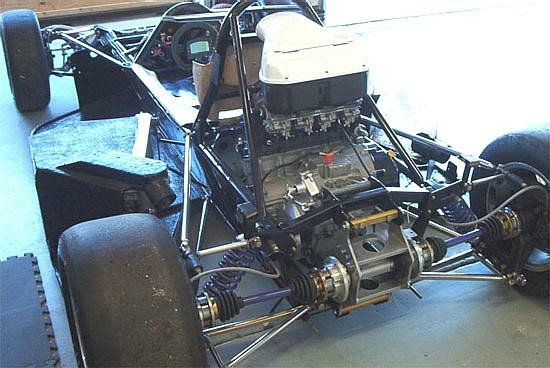 Brian has been in the process of changing over his 1974 Titan Mk6C from a Fiat 1300cc power plant to a Yamaha R1. 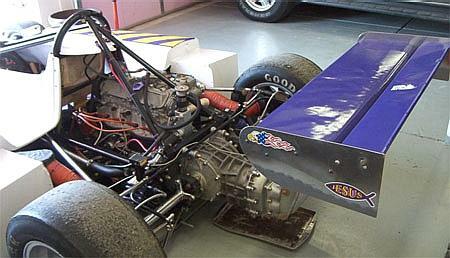 He blew his Fiat engine September 2003 and, well, the rest is history. Brian would like to thank Dave Knaack and Hasty Horn for their patience and help with his conversion. 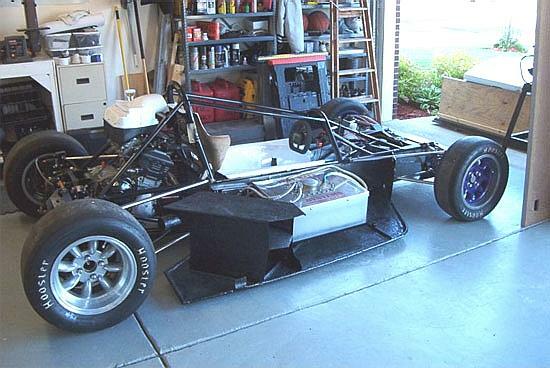 Brian says, "This has been a very fun project... taking a little more time than expected.... multiply time by 4... LOL... I am anticipating being on the track in July, 2004." "The origin of the body is from my Dad. 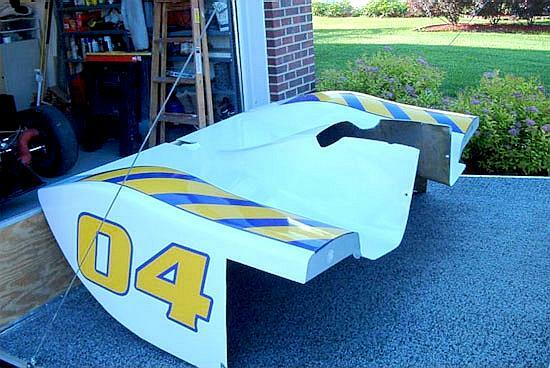 He started building the car originally in 1986. Spent almost one year building the body. He was a big fan of the CanAm era so it was designed off of the Frisbe, Shadow, etc. The nose has changed three times and the tail section has changed three as well. My Pa should be at Sainthood status for spending the time to build the body from chicken wire and cardboard. Tons of time spent building the body! He currently does all of my fiberglass work... well almost all! He is retired now so he has some other interests. I do have all the molds, but the center and the tail need a little work to be ready to pop out bodies... not the business I want to get into though." 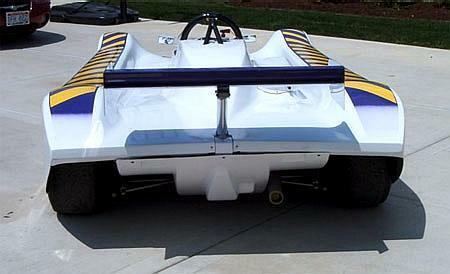 John's car is pictured at Barber Motorsport Park in 2003. 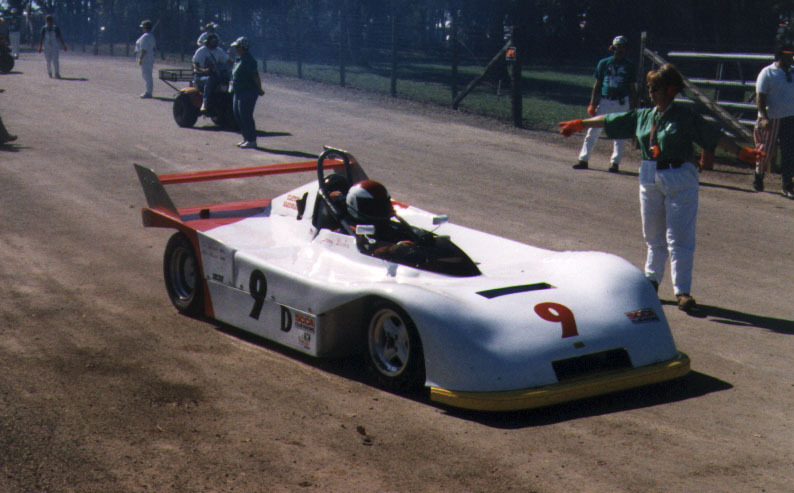 The photo of the black car is its first outing at Elkhart Lake in June of 1985. Jim took 4th place on that day. 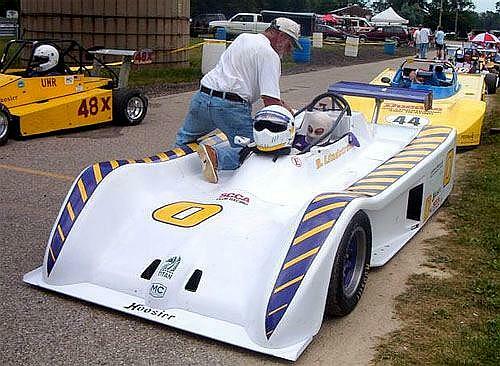 The photo of the white car is Jim's previous car with McCann Bodywork, being driven by the new owner at Gateway International Raceway in 1997. Current owner: Harvey Goldman of Canada purchased the car just before the 2003 Runoffs. The information below is from an ad posted on this website on 06/29/2003. The info below is just for reference. AMAC. Professionally built with or without 2001 Suzuki GSXR-1000. Developed, this is a great handling car, reliable, easy to drive and very predictable. Competitive on a national level. Has finished all races started this year. 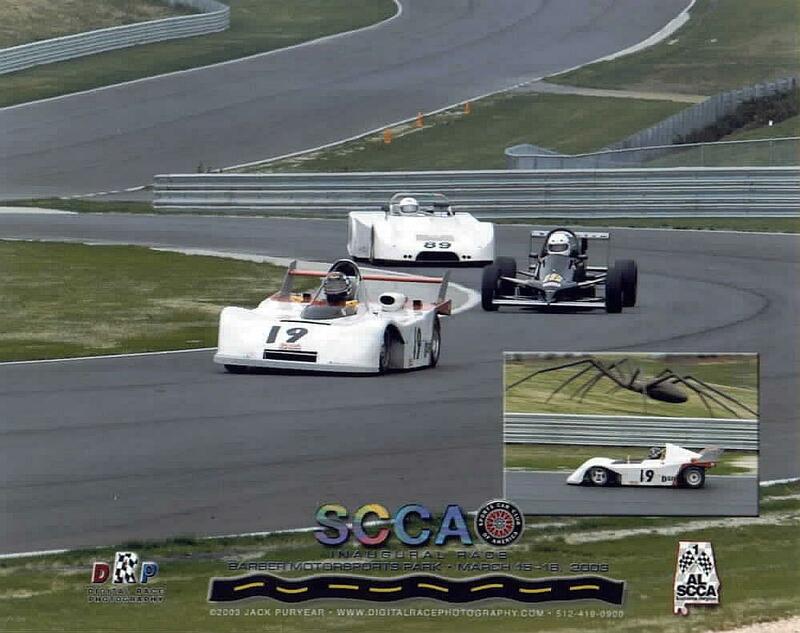 This year, the car won 1 national race and took 3 other podium finishes at National races in DSR. 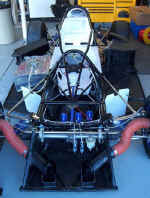 Last year, 5 regional wins and 1 National win in CSR, $11,000 as a roller $14,000 with engine.